One of the joys of traveling is picking up that little something special to bring back home. A unique gift from a unique place that will remind you months and years later of the fun trip you enjoyed. 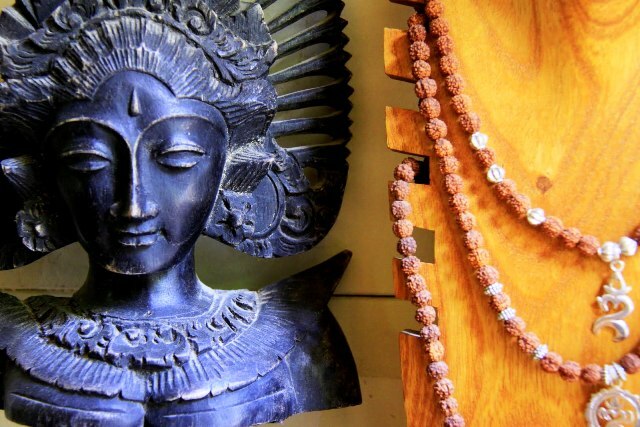 In the case of world traveler Susan Money, owner of Costa Rica’s Pranamar Oceanfront Villas and Yoga Retreat, all of her treasures from international globetrotting are specifically brought back home to delight other travelers, in the Santa Teresa Beach hotel’s gift shop. The small gift shop in Pranamar Villas’ Reception area features exclusive and uncommon gifts both from Costa Rica and parts further afield. 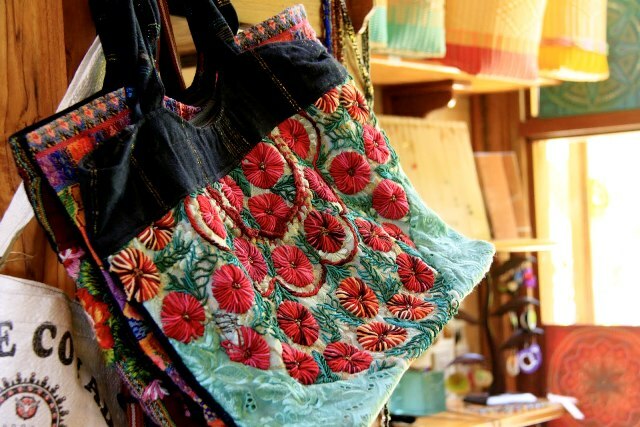 Whether originally from Indonesia, Guatemala, Nicaragua or right at home in Santa Teresa, Costa Rica, Pranamar Villas’ gift shop is a colorful and exotic treasure trove of jewelry, scarves, bags, yoga clothes and mats, and organic beauty and bath products. 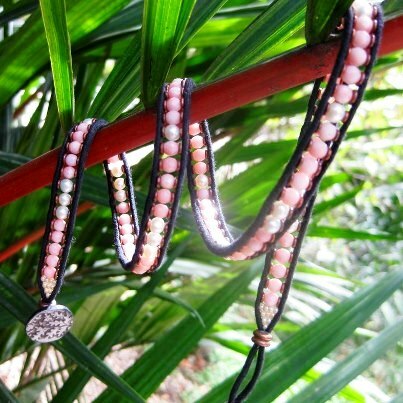 Featured Gifts Wrap bracelets by designer-artist Phyllis Warman are a big hit with Pranamar Villas’ guests. “Inspired by the relaxed lifestyle and shifting colors of Costa Rica’s exotic Pacific Coast, the richly majestic landscapes of the Pacific Northwest, and the radiant, sun-drenched beaches of Southern California, Phyllis Warman Jewelry Designs are both casual and sophisticated,” says Warman’s publicity sheet. 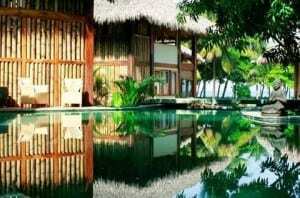 The Southern California native divides her time between living in Seattle, Washington and Santa Teresa, Costa Rica. Warman makes all of her necklaces, earrings, bracelets and anklets by hand, using natural materials she finds in her environment like mother-of-pearl and abalone shells; freshwater pearls; precious and semi-precious gemstones such as opal, jade, onyx, garnet and turquoise; metals of copper, brass and sterling silver; and 100% pure cotton cord. 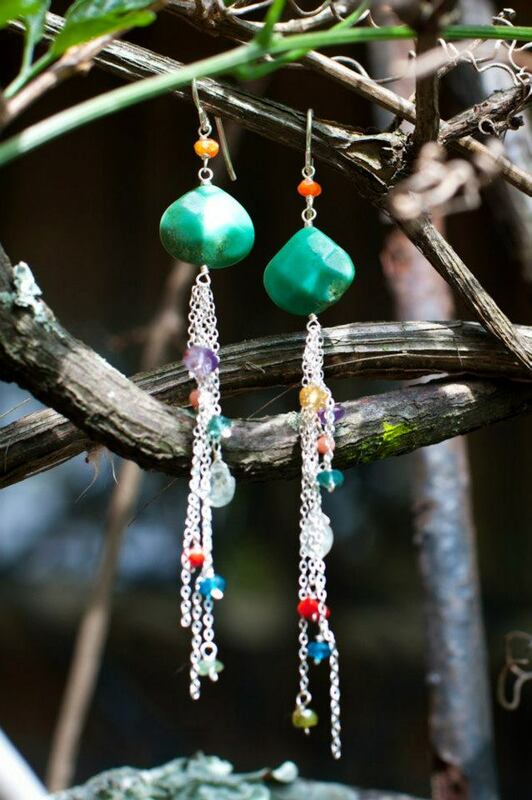 Earrings and other elegant jewelry from Faery Dust Workshop are very popular gift purchases from Pranamar Villas’ shop, says hotel administrator Larissa Chevalier. 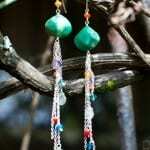 Made by a Costa Rican designer living at Playa Santa Teresa, all jewelry is hand-made. 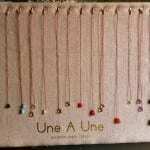 Local Santa Teresa Beach resident, Rachel of Une a Une designs, brings her native French flair to her fashionable jewelry creations. 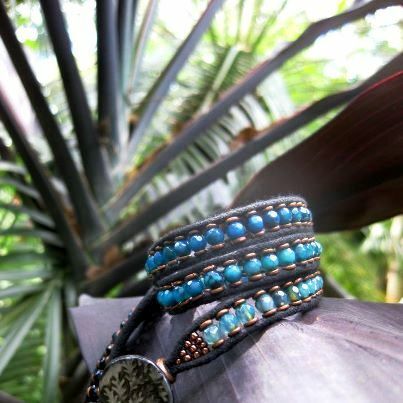 After making Costa Rica her home for 10 years, you can see the influence of the tropics’ bright colors in Une a Une’s necklaces, earrings, bracelets and anklets. 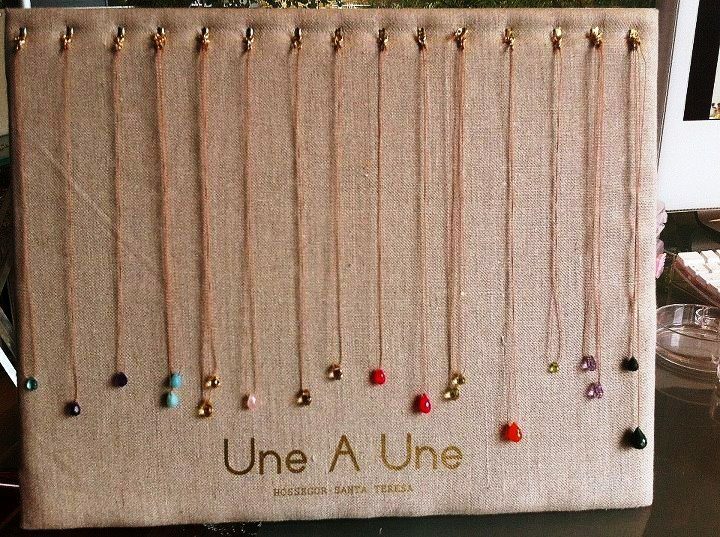 Une a Une’s delicate necklaces are sold in Pranamar Villas’ gift shop. The gift shop at Pranamar Oceanfront Villas and Yoga Retreat is open to guests and the public in the hotel’s Reception area. Pranamar Oceanfront Villas and Yoga Retreat resort is located right on the Pacific Ocean at Santa Teresa Beach on Costa Rica’s Nicoya Peninsula. The gorgeous, luxury boutique hotel features two-story poolside villas and elaborate beachfront bungalows, set in extravagant tropical gardens near the most lovely free-form saltwater pool. Winner of Trip Advisor’s Traveler’s Choice and Certificate of Excellence awards, Pranamar Villas offers you daily in-house yoga classes, regular yoga retreats and workshops, all-inclusive yoga vacations, front-yard surfing, and surfing and yoga holidays.